Kristian is a British Weightlifting Tutor, delivering coaching courses year-round for them, and for the first time in 2016, for Beaches and Barbells. Kristian is also a director and regular coach on Beaches and Barbell’s events, he brings a vast knowledge and experience complemented by his coaching background in first and foremost Olympic Weightlifting but also dancing, skiing, parkour and fitness. Kristian found Olympic Weightlifting after 8 years of training Parkour/Freerunning to a high level. He switched sports in order to follow the competitive pathway encouraged by his coach Mike Pearman, the 3-time Olympian and ex-national coach for Great Britain. Kristian surrounded himself with the sport, learning from many experienced coaches and weightlifters such as Kazem Panjavi, Keith Morgan, Jack Oliver and more. Soon after winning the British Under 23 Championships he joined the Great Britain Development Squad where he was able to attend training camps learning from Tamas Faher (the national coach at the time) and many other influential coaches. Since the GB development camps have ended due to funding cuts, Kristian has won the London & South-East Championships twice and the British Student Championships, as he continues to train and progress. In such a fast growing sport, his coaching has become a fantastic way to support and grow the sport and help others. 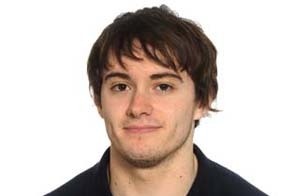 Kristian is the head coach for the Brunel Student Club, which within less than a year built up a complete team to win the British University Championships 2015 against 50+ other Universities. He is also the weightlifting coach for several Crossfit gyms and therefore has a great knowledge of how to improve all types of abilities, backgrounds and goals.